These homeowners didn’t really like the cramped, choppy layout of their 1970s ranch home, so they called our design and installation team for help. 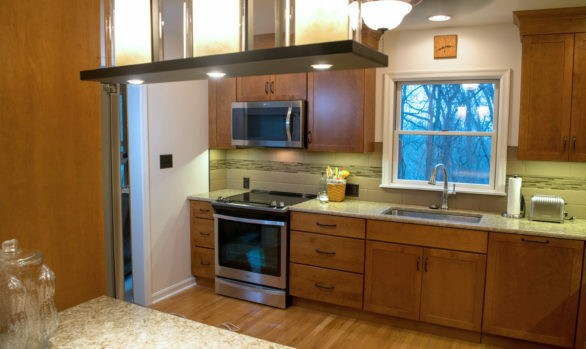 They now have an open concept kitchen that is warm and welcoming. Specifically, removing the wall between the dining room and kitchen improves the flow and creates a feeling of spaciousness. New cabinetry provides more storage, and the medium/dark stain highlights the natural beauty of the wood. 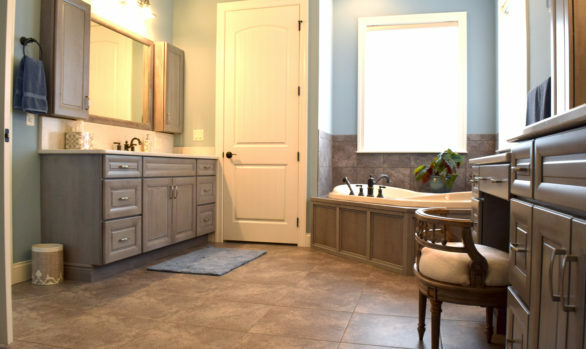 This renovation extends beyond the kitchen and includes a bathroom remodel with a Kohler Choreograph Shower.